Said co-founder and CEO of Razer Inc, Min-Liang Tan: "Razer Pay launched globally in Kuala Lumpur and we are heartened by the incredible response from users. We will continue bringing more services and improvements to the app, and we thank users in Malaysia for their confidence in Razer." Tabung Harapan Malaysia - Let's Help Malaysia! As a partner to Razer Pay, Berjaya Corporation Berhad has pledged to donate up to RM5 million to the national Tabung Harapan Malaysia fund. The fund was set up by the Ministry of Finance Malaysia on 30 May 2018 as a crowdfunding initiative to reduce the country's national debt. 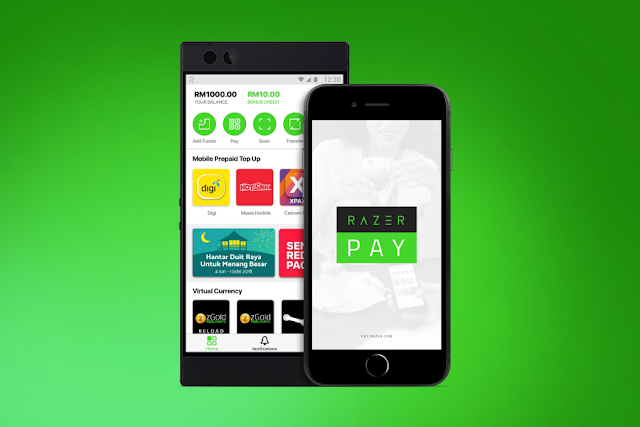 From 4 July to 30 Aug 2018, Berjaya has committed to donating RM10 with each first-time use of the Razer Pay wallet at participating Berjaya outlets - 7-Eleven, Starbucks, Singer, Cosway, Greyhound Café, Wendy's, Kenny Rogers, and Krispy Kreme.